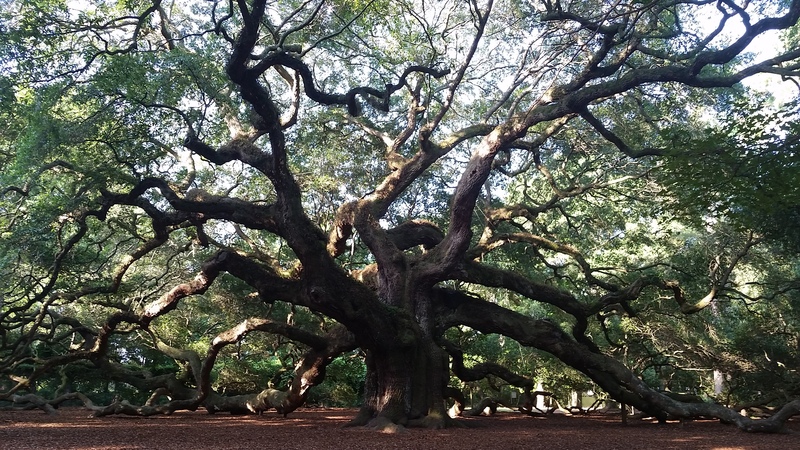 The Angel Oak Park is located on Johns Island where you can find what is known as “A Lowcountry Treasure”. The Southern Live Oak tree is a historical site and focal point of one of the City of Charleston’s public parks. It is considered to be the largest Live Oak Tree east of the Mississippi estimating to be 300-400 years old. The Angel Oak receives approximately 40,000 visitors each year. The tree is 65 feet high with a circumference of 25.5 feet, shading an area of 17,000 square feet. The public is allowed access seven days a week except for holidays. Admission to the general public is free but donations are gladly accepted to help in the preservation of the tree for future generations to enjoy. The gift shop provides information and retail merchandise including Lowcountry specialty items, such as memorabilia and keepsakes. Permits are required for weddings, wedding or engagement photoshoots and other special events. Contact the City of Charleston’s Recreation Department for information on the permitting process as well as available dates and times (843) 724-7327. Please note that tripods, props, blankets, food and drinks are not allowed on or around Tree. Leashed pets are allowed in designated areas which include the picnic area.